This built in entertainment center and matching bookcase is crafted of mahogany. 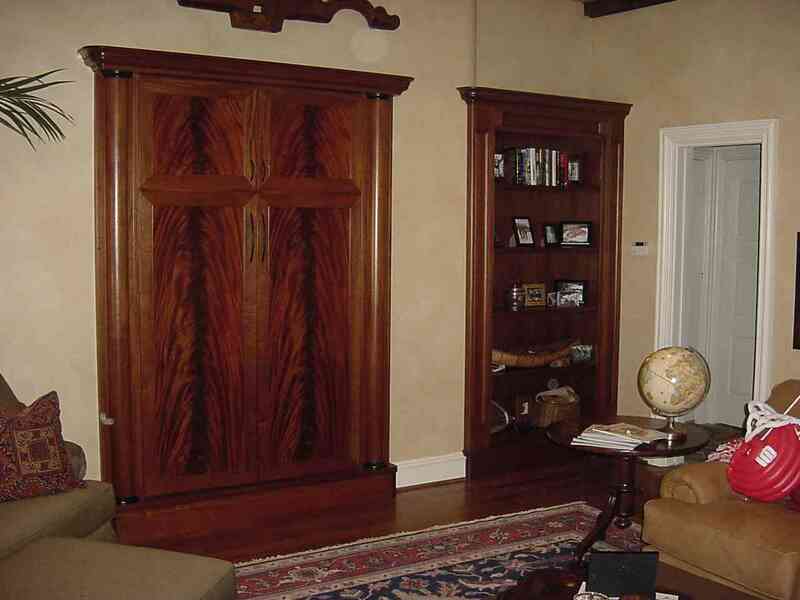 The doors are mahogany crotch veneers and the columns have ebonized capitals and bases. Both pieces are finished in lacquer and hand rubbed wax.